In 1998, Rabbi David Rosenn and a small group of activists and educators from across the spectrum of the American Jewish community launched Avodah with the support of seed funding from UJA-Federation of New York’s Commission on Jewish Identity and Renewal. We started in New York City with one house of nine Corps Members in Brooklyn. At the time of its launch in New York, our Jewish Service Corps was the only program of its kind: a domestic program providing young Jewish adults the opportunity to work full-time on poverty issues while exploring the connections between that work and their Jewish lives. Within two years, we expanded from one house to two, and eventually grew to nearly 25 Corps Members serving in New York City per year. We’ve built and maintained strong partnerships with leading nonprofits throughout the city, like the Urban Justice Center, the New York Legal Assistance Group, and Sanctuary for Families. And you don’t have to look far to see the impact of our alumni in New York. 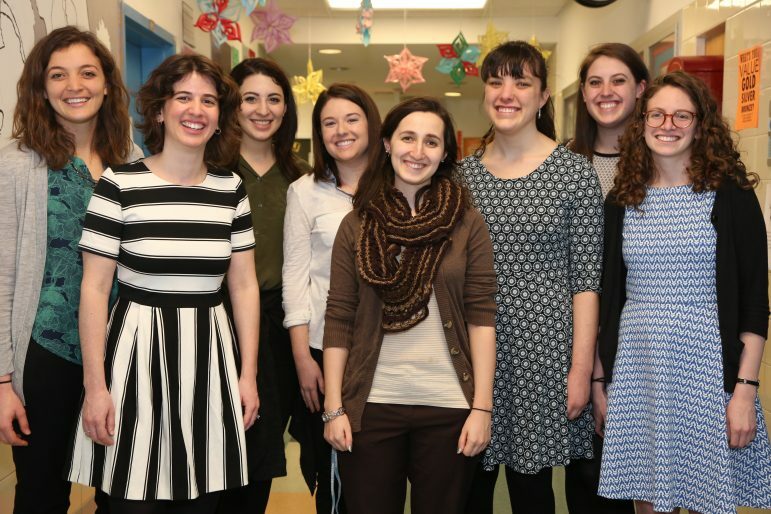 Avodah alumni live and work acorss the area, taking action on a wide range of social and economic issues. You can find our alumni doing anything from leading housing organizing efforts in Brooklyn to teaching nursery school parents at the JCC Manhattan how to talk to their kids about social justice. We placed Aaron Dobish with the housing organization Common Ground in 2000, and he’s still there today, working as their Associate Director of Housing Operations. Lani Santo is the Executive Director of Footsteps, providing services for formerly Ultra-Orthodox Jews after they leave their communities. Denny Marsh served as a Corps Member with Neighbors Together from 2004-2005, and today she’s their Executive Director. New York is our flagship site, our national homebase, and the laboratory where we develop and pilot new programs. In recent years, we’ve launched the Avodah Fellowship, and are expanding our efforts to engage the Jewish community and beyond in this work. Read the stories of New York alumni Alana Alpert and Brian Fink.